Drop us an Email Below!
. 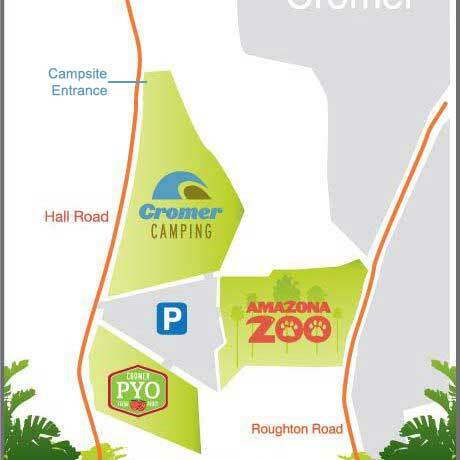 This postcode can also be used in online route planners. Sanders bus services run to Cromer, Roughton Road from North Walsham (with connections to Norwich and Gt Yarmouth) and Holt Sanders helpline: 01263 712 800. 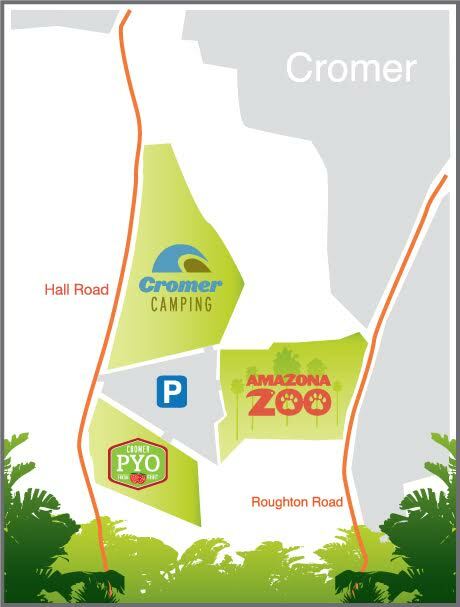 Please follow the brown ‘Amazona Zoo’ signage from the Cromer Tourism Office and you will find Cromer Camping next door to the zoo. We are now open 1 month earlier from the 1st July 2018 - Book Your Holiday Today!